I’ve been part of the AOL team for more than 15 years. In that time I’ve seen the technology we use evolve immensely. When I first started, the company had standard desktops and a legacy IT system. Since then, we’ve shifted from clunky hardware and software to “lightweight enterprise” — prioritizing convenient, immediate access and ease of use. Our CEO, Tim Armstrong, believes that if you keep doing things the same way, you’ll continue to get the same results. We take this philosophy seriously when it comes to our technology. Our global Chief Technology Officer, William Pence, provided clear vision for modern, cloud-based, and forward looking technologies, which propelled our investment and focus in this space. When we decided to start using Google Apps, we were most interested in unifying and improving how we work together across teams — especially between AOL’s different entities. In recent years, we’ve completed many acquisitions (think Huffington Post, TechCrunch, and the integration of Verizon’s Digital Media Services to name a few). Having Google Apps during the period of potential confusion and chaos has helped us perform due diligence activities even quicker. We started exploring Google Apps in 2010 and chose it over Office 365 because Microsoft required us to staff a whole team to manage SharePoint and its infrastructure. We also realized that adoption of Google Apps would be easier and more cost effective because of Google’s reputation for ease of use and the familiarity many of our employees already had with its tools. Over the course of six months, we unified 13 domains into one with help from a third-party integrator to move from Microsoft Exchange to Google. From a set-up perspective, it took about two to three weeks to get everyone up and running with local peer (i.e., collaboration champions) and IT helpdesk support. Employees immediately started sharing their favorite Apps “hacks” with colleagues (for example, we use Google Forms for invite submissions, which alerts employees when events are filled and creates a culture of excitement and inclusion). As a result, we were able to decommission 18 of our 22 globally distributed Messaging servers (more than 80 percent), eliminating 130 terabytes (TB) of drive space needs. We’re also migrating on-premise file shares into Google Apps, which will allow us to reallocate another 120 TB of file storage. I led the initiative for company-wide adoption of Google Drive, Docs and Hangouts, and the entire company has been fully migrated since February 2015. With recent acquisitions, we've quickly integrated our collaboration tools to maintain focus on business value and production. In terms of security (such as granting and denying access to data as needed), we’ve reduced costs. When you’re working in the cloud, there’s no need to bring on a third-party vendor to ensure data is secure. Moving away from premise-based solutions has provided us the flexibility to decrease our acquisition integration timeline from a messaging and collaboration perspective. We’re now able to offer the services of companies we acquire the same day that a deal is signed. In certain instances, the collaboration capabilities of Google Apps enabled quicker time to market for our products. For example, the content and assets for each morning’s AOL homepage is queued up in real time on Drive. Also, our Business Communications team can edit articles at the same time — greatly reducing time to publication. With multiple brands under the AOL umbrella, Apps also allows us to be more transparent and give everyone access to files and documents. With Apps, our employees are productive from anywhere — whether it’s on AOL’s campus or on the network — and connected as a unified team. Editor's note: Today we hear from Doug Bohaboy of Mimeo, a content distribution and digital printing company based in New York City. Learn how Google Apps helped Mimeo deliver at breakneck speed while keeping its employees connected. When I first started at Mimeo, a content distribution and digital printing company, in 2005, we had fewer than 100 employees. I could stand up and talk to anyone in our New York office. I knew everyone. Today, we have over 800 employees in six locations, including four international offices in the UK, Germany, India and China. Our New York office had ballooned to multiple floors. That’s why we turned to Google Apps to keep our distributed workforce productive, efficient and competitive in an evolving market. Google Hangouts, Google Docs and Google Calendar keep us organized and coordinated across multiple time zones. To compete with other online suppliers, we need to move fast and fulfill orders quickly. Customers can place an order for a complex printed document on our website at 10 p.m. EST and expect it to be fulfilled and delivered the next day. This means people at our New York headquarters need to communicate rapidly with our global manufacturing facilities. With Hangouts, our teams can video or text chat instantly from any device, whether it’s a desktop computer or mobile phone, at any time of day or night. We made the switch to Google Apps from Microsoft Exchange in 2010 to give people tools to work more closely together — without wasting time on IT issues. Before 2010, our IT team had to deal with issues that didn’t add value to the company, like scheduled server maintenance and helping employees fix email problems. These minor issues added up to 1,000 hours each year. Now, our IT team spends 100-200 hours a year addressing minor issues — equating to huge financial and time savings. Google Apps, and particularly Docs, increases our efficiency. Today we create about 90 percent of our documents using Docs. Employees often collaboratively edit documents together when they’re sitting across the room from each other. Docs also makes meetings more efficient by giving us the ability to take shared notes and assign owners. The whole team doesn’t need to be in every meeting — we can tag team members who need to share their input on one small section, and they can contribute on their own time. With offices in the UK, Germany, China and India, we use Hangouts to collaborate more meaningfully with more face-to-face time. The ease of meeting person to person also helps us appreciate the cultural diversity of our team, which contributes to our open culture that embraces diverse ideas and paths to problem solving. Whether from Memphis or Berlin, any of us could easily hop on a video chat in Hangouts while also having access to intuitive tools, making training new employees from any location seamless. As companies like ours grow increasingly global, Google Apps is helping to create more mobile, flexible work environments. Our biggest goal is to do more for our customers while keeping our employees in sync by making Mimeo a great place to work. We know that our customers depend on Mimeo for fast, reliable service that consistently exceeds their expectations. Google Apps helps our employees make the most of their time and creativity, ensuring we retain the competitive advantage that’s made us a globally recognized company. Chromebooks already offer businesses of all sizes a secure platform to get work done. 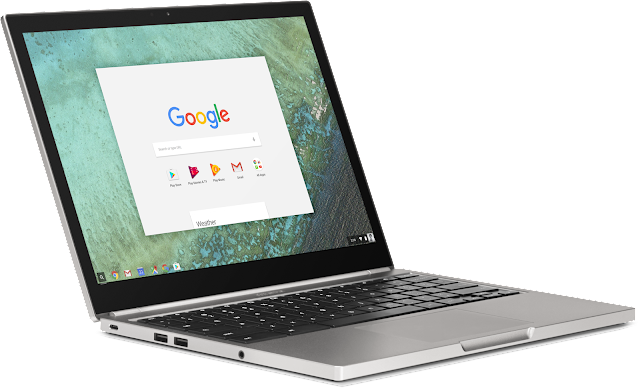 Companies are choosing Chromebooks because they’re easy to maintain, can be centrally managed by IT and have multiple layers of security to protect sensitive data. Today we’re announcing support for Android apps on Chromebooks — with little to no extra effort on the part of developers — making Chromebooks an even better choice for work. That means your employees can have access to the broad ecosystem of Android apps in Google Play for Work on their Chromebooks, managed centrally with access controls. So in addition to the speed, simplicity and security of getting work done quickly in web apps, your workforce can run previously unavailable mobile apps on Chrome devices with complete file integration, notifications, offline support and touch input on supported hardware. Early first-runs with many Android workplace apps including Concur, TripIt and DocuSign, as well as many other productivity apps, look very encouraging. While the 2 million businesses already using Google Apps for Work can view and edit Microsoft Word documents, some may prefer to use Microsoft’s Office software. That’s possible on a Chromebook by installing the Android version of Microsoft Word, for example. And those who supplement Google Hangout meetings with Skype can do so on a Chromebook by using Skype for Android. Also, this gives users full access to apps that were built for the mobile world. For example, while the web version of Slack already works in the Chrome browser, the Android version of Slack is designed from the ground up for mobile use with support for push notifications, do not disturb rules and quick switching between teams. If your workforce prefers an Android app to the web version of that software or wants to use an app with offline support, they now have the choice on a Chromebook. We’re encouraging Android developers of all kinds to see how the application experience adds value for Chromebook users and brings them new opportunities: Now building one app extends from Android phones and tablets up to Chromebooks. One of the key benefits of deploying Chrome devices in your workplace is that you can centrally manage them with ease through more than 200 administrative policies. Administrators can manage these Android apps now from that same Chrome admin console. We’ve added new policies to allow or restrict Android application installations, and you can even allow particular Android apps for certain users and not others. We’re making the feature available in early June on specific Chrome devices — the Asus Chromebook Flip, Acer Chromebook R11 and Chromebook Pixel (2015 edition) — for developers to try out. Later this year, we’ll add support for many more Chrome devices, detailed here. And if you’re developing in-house Android apps for your business, you can learn more about how to optimize your Android app for Chrome devices here. Applications have long been the lifeblood of the enterprise. This has never been more true than in today’s market. And Google has never been more committed to the enterprise. We’re excited to expose our APIs to enterprise developers who can now incorporate advanced technologies such as image recognition, speech recognition, location and maps, email and calendaring into their applications. Google I/O is a great opportunity to share what excites us about the massive digital transformation happening at companies around the globe. We’re thrilled about the speed of innovation with all of our enterprise products, particularly Google Cloud Platform, Google Apps, Maps, Android and Chromebooks. We’re laser focused on creating what developers need to build successfully in the cloud. At Google, we continue to push new innovations that enable developers to turn great ideas into world class applications. We can also help you get your apps in the hands of your customers through marketplaces like Google Play, Chrome Web Store, Google Apps Marketplace and Cloud Launcher, which serve billions of Android and Chrome users and millions of businesses. Today’s announcements at I/O further build out our developer toolkit, with new features to help developers build what’s next for the enterprise. New APIs for Sheets & Slides: With the new Sheets API, we're giving developers a new level of access to some of the most popular features in Sheets. Create new spreadsheets, populate them with data and formulas, insert charts and pivot tables, and pull results right into your apps. Developers can use Sheets in a powerful workflow to push data from their app into Sheets, allowing users to collaborate on that data, before the updated data is pulled back into the original app. The Slides API enables developers to push data from other applications into Slides in order to create custom, polished presentations quickly. API Partner Ecosystem: A number of partners, including Salesforce, SAP Anywhere, Conga, Prosperworks, Anaplan, Sage, Trello, and Asana are already connecting their services through these new APIs, and we look forward to seeing even more developers follow suit. Enhancements to the Classroom API: We’re giving developers programmatic access to our most powerful features within Google Classroom. The Classroom API lets school reporting systems sync coursework and grades from Classroom and quickly connect teachers and students to their learning content. Whether you’re using Google Cloud Platform, integrating with our Machine Learning APIs or building on top of our Google Apps suite, we’re committed to delivering the tools and technologies that help businesses improve productivity, securely connect information across platforms and power new workflows. Earlier this month we announced a BigQuery integration with Google Drive that allows customers to run queries, gather insights and then share that data with teams in a familiar and easy to understand template, no matter where they are. We also recently added two new security certifications, ISO27017 for cloud security and ISO27018 for privacy. And customers like Land O Lakes are taking advantage of our cloud and APIs to revolutionize their fields — in this case, modern farming. Ever since I began my career in technology, I’ve been working to advance the way the enterprise runs. I worked on some of the first relational databases for Sybase and Tandem and then, at VMware, helped to create an entirely new industry centered around virtualization. Fast forward to today, and I can say that I’ve never been more excited about the potential for the cloud to transform businesses. There was a period in time where the energy was around consumer applications, but we can now see that people are realizing just how much innovation can be done in the enterprise, and it’s enticing more and more developers. While we’re excited about the innovations that we’re bringing to market, we’re even more excited about how you will take advantage of these new advancements. As the momentum continues in the enterprise, we can’t wait to see what you build next. Editor's note: Today we hear from Greg Bennett of Imaginea Energy, an oil and gas company based in Calgary, Alberta Canada. Learn how Google Apps helps Imaginea defy industry stereotypes as they work to produce energy sustainably, securely and profitably. At Imaginea Energy, our vision is an Oil and Gas industry that is much better for the Planet, and for People, and for Profits. This vision is reflected in our culture, the mindsets of our people as well as in our organizational model. Together, our organizational model and culture promote curiosity, teamwork and 10X thinking — values that affect everything from our team-driven project pitches, to idea generation to the tools that are integral to creating solutions that match our aspirations, like Google Apps for Work. We switched from our previous platform because our legacy storage, productivity and email tools didn’t reflect our open and transparent culture or our vision of the future. The closed IT environment made it difficult to collaborate together beyond very small teams: file-sharing was non-existent, which created insane revision situations and confusion about document version control. Google Drive changes all of that. We've migrated nearly 260,000 files to Drive, all of which can be accessed from anywhere, on any device, without deploying a rigid shared drive structure. Google Docs, Sheets, Slides and Forms have absolutely transformed how we work together. With real-time editing, commenting and data collection, we can quickly share ideas and insights and rapidly move work forward together. At a recent meeting we had over 30 people generate 20 pages of new ideas in under two hours. 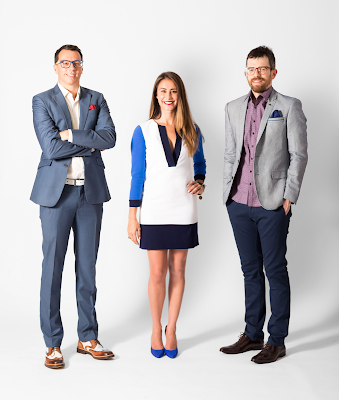 Seamless collaboration and rapid ideation like this simply wasn’t possible before. Google Apps for Work combined with our flexible working environment provide maximum autonomy, which our employees leverage to increase their productivity both in and out of the office. Visit our headquarters on a Friday and you might find up to 40% of our people foregoing their commute in favour of working from home (or a coffee shop, or a park). This flexibility really works for our company and our team. With access to information online or offline, the ability to work remotely extends to the vast 30,000 km2 of rolling prairie that our operations cover. Operators can capture data even without internet access. Once they re-connect, all of their offline work is instantly synced, eliminating redundant data-entry and confusion. Our ability to work from anywhere has been further enhanced by using Google Hangouts. Whether a field operator is at one of our 600+ active wells or a team member is running a training presentation from 7,000 kms away in Europe, Hangouts connects our people face-to-face. Our field staff have cut down on the 500 km round trip visits to headquarters — now they can spend more time on-site, and less time driving by communicating and holding meeting via Hangouts. Reducing driving time increases the safety of our team, and also reduces our environmental footprint and operating costs. Not only has switching to Google Apps saved us significant time, it will also reduce our IT spend. By mid-2016, we’ll have saved over 50 percent on IT maintenance, money that can be redeployed to develop solutions to business problems and maximising our team’s capabilities. Google Apps gives us the security we need without compromising information flow or flexibility. The Admin console lets us customize mobile device management and quickly respond to changing security events. On a recent trip to Paris, a company device was stolen on the subway. Within 12 minutes, access credentials were changed and our data was secured. This security extends behind the scenes to every part of Google Apps. We may never have world-leading security experts on our staff, but luckily we don’t have to: Google does. Having trust in our tools, combined with the trust we invest in our employees, means we can focus on creating value without obsessing over security. At Imaginea, we defy industry stereotypes by focusing on Planet, People and Profit together. When you set out to reimagine an industry like oil and gas, achieving that vision is only possible with the right people and the right tools. With Google Apps, we’ve set course to truly transform our business and the energy industry. Editor's note: Today we hear from Nash Islam, co-founder of the UK-based parking service Vallie. Read how Vallie used Google Maps APIs to launch an on-demand valet service in London. The idea for Vallie came from a problem that so many Londoners face: finding parking in one of the world’s largest and most congested cities. The Daily Telegraph reports that it takes Londoners 20 minutes on average to find a parking spot, and that motorists spend up to 106 days of their lives circling streets to find a spot across the UK. 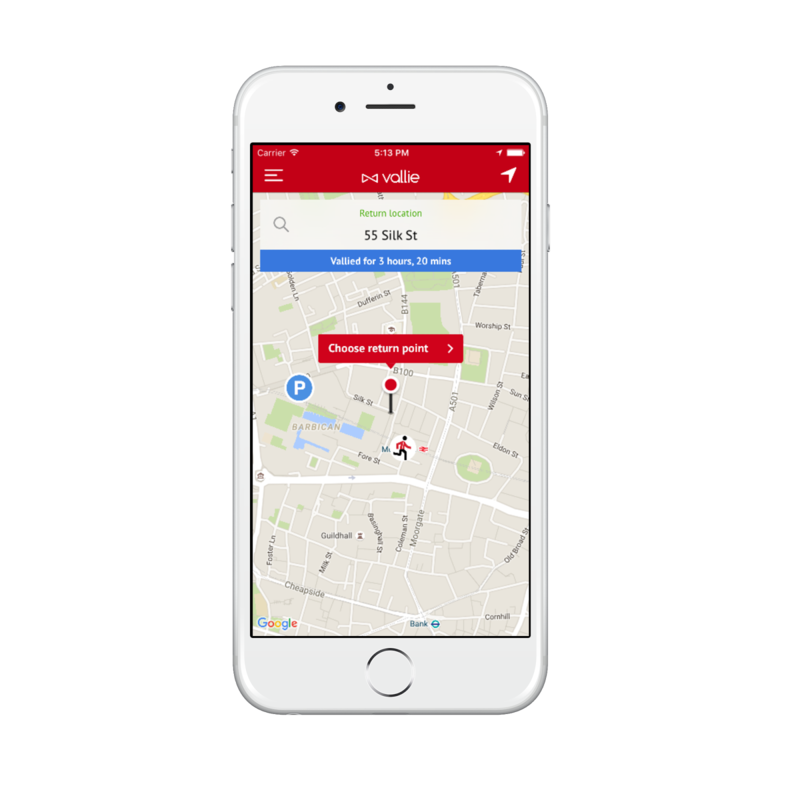 Using the Vallie app, customers pay £5/hour (up to £25 per day) to drop their car off in any central London location and hand over their keys to a Vallie driver who parks their car in a safe commercial car park. 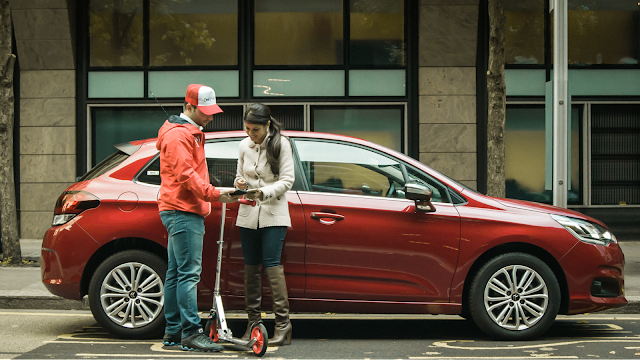 Vallie drivers can return a car anywhere in our serviced zone within 20 minutes. Customers can also request additional services: Vallie offers electric re-charging, car wash and Matters of Testing (MOT) services. The mapping experience is so fundamental to our on-demand valet service that we wanted to invest in a high quality mapping service. We decided to use Google Maps APIs because it provides a consistent mapping service across all our platforms with quality routing and location data. We worked with Google for Work Premier Partner Ancoris for licensing and general implementation questions, and Google's support team worked with us to ensure we had an efficient implementation. 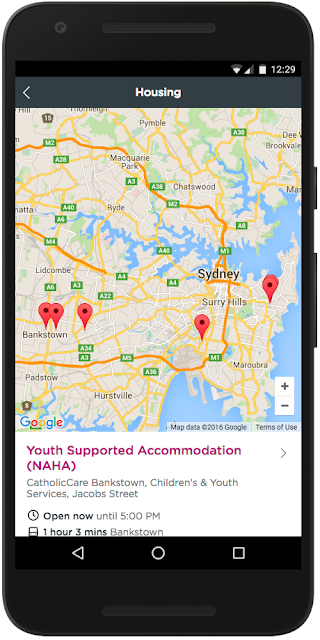 A variety of Google Maps APIs are core to our app’s services. We use the Google Places API to display building names or points of interest at meeting locations, which helps both the customers and Vallie drivers. We use Google Maps Directions API to show estimated arrival times. Finally, the Google Maps Distance Matrix API helps us calculate the nearest valet and car park so we can minimize customer wait times. In the future, we plan to expand further afield in London, and then to other cities across the UK and Europe. We hope to expand our car maintenance services while also exploring ways to make parking much smarter and more effective. As we grow, Google Maps APIs will continue to be at the center of the quality parking and transportation services we provide to our customers. Editor's note: Today we hear from Courtney Osgood of Paint Nite, a Boston-based events company that offers consumers a creative social experience at local bars. 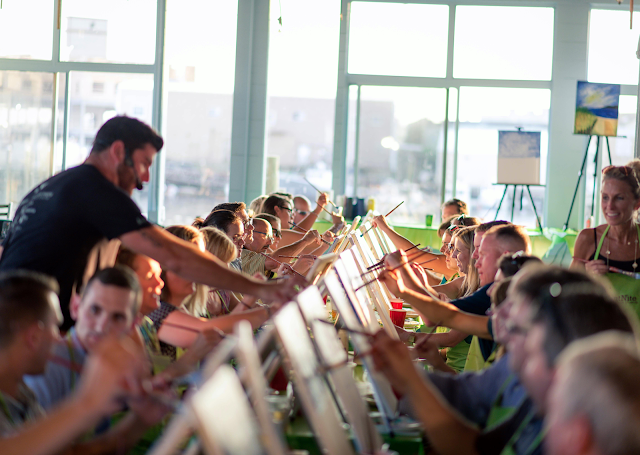 Learn how Google Apps helps Paint Nite maintain its close-knit company culture and keep teams connected no matter where they work. Paint Nite offers a different kind of nightlife experience. Guided by a local artist, our customers spend a few hours sipping cocktails and painting at a local bar. Working together to create something great is in our DNA, which is why we’ve used Google Apps since the company was founded in 2012. As we’ve grown, Google Apps has helped us maintain our tight-knit culture while successfully scaling our business. In the past year, we’ve added more than 950 cities and towns that are now hosting Paint Nite events, and more than doubled our employees at headquarters from 40 to 100+. Work-life balance is a big priority at Paint Nite. Our founders recognize that everyone has commitments outside of work, whether it’s spending time with family, pursuing a hobby or volunteering. Paint Nite offers unlimited vacation time and allows employees to work from home any time. Tools like Google Apps help our employees take advantage of this policy. Teams use Google Hangouts to chat about projects throughout the day, whether they’re at the office, at home or working from a coffee shop. We use Hangouts for our weekly all-staff meeting so all employees can join from anywhere and feel like they’re in the same room. Google Apps helps teams stay organized, which is important given how quickly the company is growing. Our employees love using Google Calendar, which makes it easy to schedule meetings with colleagues who are working remotely. Calendar also lets us book conference rooms in advance, which is a small but critical feature for a rapidly growing company with limited meeting space. Google Apps also saves us time. Our data analytics team, for example, uses Google Forms to manage dozens of data requests each day. At Paint Nite, we rely on our data to make decisions or share information — a digital marketing manager needs to know how many cities we operate in for a new advertisement, or our communications team wants to share year-over-year growth figures with the local newspaper. Before they started using Forms, our analysts spent hours each week sorting through requests manually. It was an inefficient and frustrating process. Now, if anyone at Paint Nite needs company data, he or she can submit a request using Google Forms. As we continue to scale from a local startup to a international brand, it’s crucial that our teams stay connected, whether people are working from our main office, at home or on the road. Google Apps helps us do this while maintaining the close-knit, flexible work environment we've grown to love. For all the amazing things mums do, they deserve much more than just one day to recognize their greatness. As Sunday approaches, Google Australia is celebrating an organization that makes Mother’s Day an everyday affair. 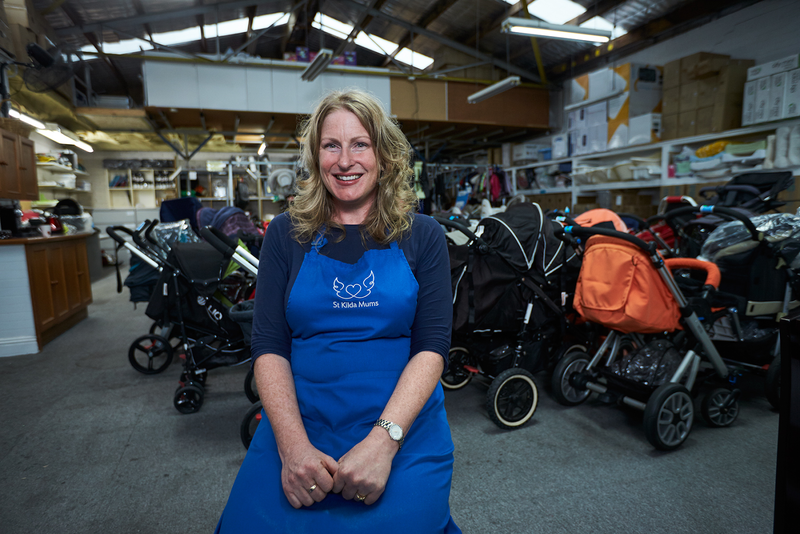 St Kilda Mums provides new and pre-loved baby goods to mothers in need. What began as a living room operation seven years ago has grown to four warehouses and more than 1,000 volunteers accepting and distributing nursery gear to thousands of families. 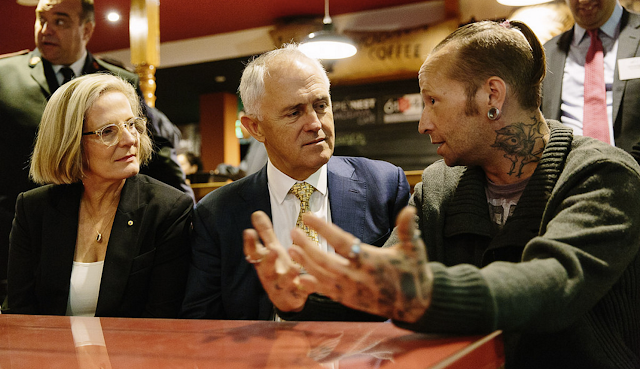 So what’s their secret superpower for supporting thousands of mums across Melbourne? Technology. 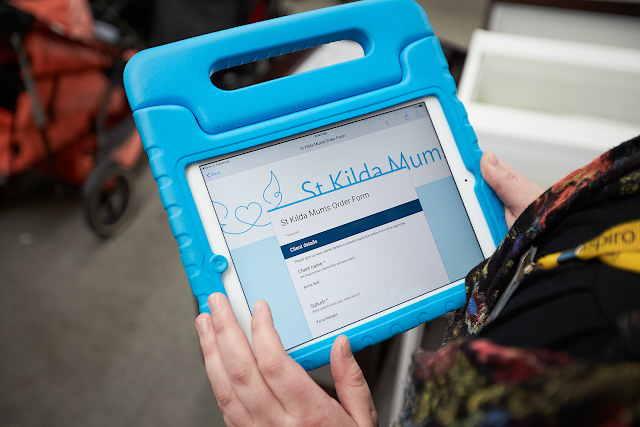 Products like Google Forms and Drive on mobile devices and desktops allows St Kilda Mums to organise incoming donations and better coordinate logistics across the network of staff, social workers and volunteers. The requests are received instantly in the warehouse, matched with the donated stock and dispatched to the family in need. We're proud to play a small role in enabling St Kilda Mums through Google Apps for Work. We applaud the staff at St Kilda Mums, volunteers and all the mothers out there who keep the world turning with their love and power. And to all my fellow working mums, you’re my heroes! Happy Mother’s Day from all of us at Google Australia. Editor's note: Today’s guest post is by Mike Knapp, Co-founder and Co-CEO of Shoes of Prey. Shoes of Prey creates handmade, bespoke women’s shoes designed by the customer. Like a lot of tech companies these days, Shoes of Prey started as an exchange of ideas between a few friends — in my case, casual discussion with longtime friends from college, Michael and Jodie Fox. That day, a little magic happened for us when we landed on an idea that would spark interest for customers around the world — an online platform built to inspire creativity and truly honor individual expression. Shoes of Prey allows customers to design their own made-to-order shoes from anywhere via our online store, as long as they have Wi-Fi access. The flexibility and freedom to be as creative with our personal expression as we choose is at the core of what we offer to customers, and we want the same from our workplace technology. We use cloud-based tools like Google Apps that allow employees to work how they want, from wherever they please. Sharing information is particularly crucial now that we’re a global team with offices in the U.S., the Philippines, Australia, Japan and China. We save thousands of dollars we’d otherwise spend on travel by meeting face-to-face over Google Hangouts and working simultaneously in shared Google Docs. Being able to write a document with people in three different offices at the same time is incredibly powerful. We compile our weekly global newsletter in a single shared Doc. Each team contributes its updates when ready, and there’s no need for multiple meetings and back-and-forth email attachments. Most teams share their weekly meeting notes in Docs as well. We also use Google Sheets to manage financial budgeting across teams and have a singled shared master Sheet to track monthly expenses and cash flow. Each team updates its expenses in a designated Sheet and then the team lead or manager updates the master, which is access-controlled. With Google Apps, we can maintain a highly collaborative culture and keep our data secure. Thanks to sophisticated sharing settings in Docs, we’re able to share customer and employee information only with intended recipients, grant specific permissions and adjust who has access even after sharing a link. We know that we have Google’s security experts watching out for us, which gives us peace of mind. We’ve grown our company using Google Apps from day one, and I can’t imagine working any other way. Once you've worked this way, there’s no other way to work. And we’ve saved thousands of dollars by not having to hire people to manage servers or perform software updates, as these are automated with Google. Google Apps keeps our talented workforce from getting bogged down with outdated or mundane processes so that it can continue to create the best experience — and shoes — for our customers. Public speaking can be intimidating—even for veteran speakers with phenomenal ideas and experiences to share. Take Shree Bose, for example. When Shree recently visited our New York office to present to 200 middle school students, we invited her to try a new feature in Google Slides: Slides Q&A. This update—rolling out globally today—helps speakers connect with their audience and collect real-time feedback. With a simple link displayed on a Slides presentation, audience members can submit questions from their phones, laptops, and tablets—and vote on those they want answered the most. And for those of you who like presenting from a computer, we're introducing a new laser pointer on the web. Just in time for May the 4th (be with you). Editor's note: This post is part of our series for U.S. Teacher Appreciation Week. Look for more content on our blog and social media throughout the week. Don’t forget to add to the conversation using #ThankATeacher. When I was five years old, I immigrated to the U.S. from Taiwan. 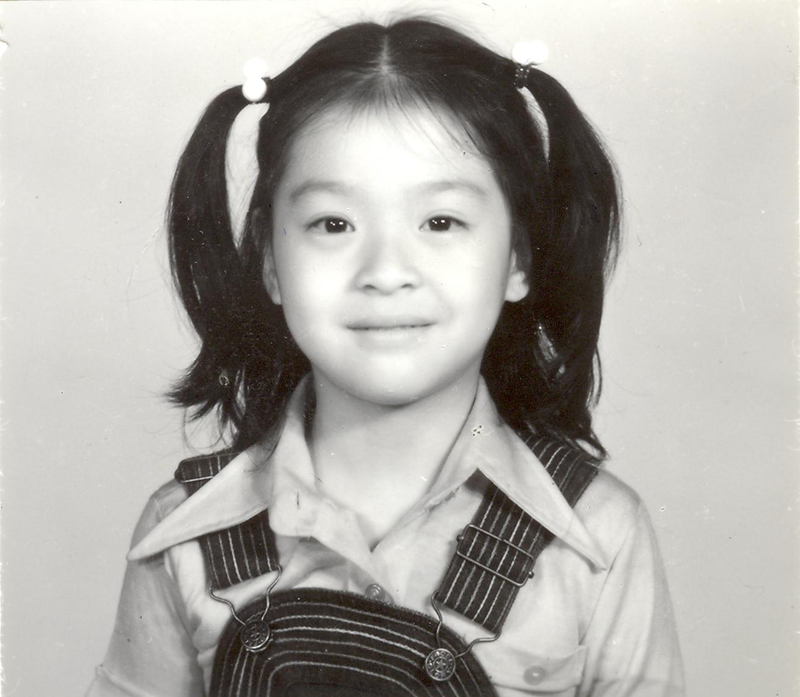 My sister and I were the only Asians in our entire school, and I remember how my kindergarten teacher, Mrs. Marvin, went out of her way to make me feel welcome in the classroom and country. I stayed in touch with her until her passing a few years ago. Our relationship speaks volumes about how influential teachers can be. Later in high school, my math teacher, Mr. Fee, showed me how to apply my math skills in the real world. His practical guidance shaped my career aspirations to study chemical engineering in college and to become a high school math teacher myself. After moving from Taiwan to the U.S. at age 5, Mo Fong's first experiences with the U.S. School system was formed by her kindergarten teacher Mrs. Marvin, who helped set her up on a path to success. All good teachers inspire students to pursue new opportunities and challenge themselves, but science, technology, engineering & math (STEM) teachers and specifically computer science (CS) teachers have to overcome some obstacles that others don’t. Often, there’s not enough access to CS resources in schools, and school officials haven’t adopted a CS curriculum. Only 22% of public school principals say that CS education is a top priority, despite the fact that more than 1.3 million computer and math-based jobs will be created by 2022, according to a joint Google and Gallup study. CS teachers also have to overcome stereotypes that keep many students, especially girls and underrepresented minorities, away from the subject. In the spirit of Teacher Appreciation Week, I would like to share the stories of three high school CS teachers who are overcoming these obstacles and inspiring students to be passionate about the problems they want to solve in the world. When I think of Diane Johnson Terrell words like strength, empowerment and role model come to mind. Terrell, a high school math and engineering teacher at Oakland Unified School District in California, became a CS teacher via an unconventional path. She was working as a programmer analyst and quickly realized she was one of the only African Americans and females in the industry. One of the main reasons the field isn’t more diverse is because people haven’t been exposed to the field, Terrell says. Now her students understand they can build amazing things with a CS degree, and they can have a lucrative career doing so. Terrell also is breaking down the idea that CS is only for boys and the affluent. She's introducing a CS program that more than 400 9th graders will take next year, and teaching youth at her church how to code and develop an app for the church together. The field of CS shares the unfortunate “geek” stereotype that math and engineering do. But that stereotype doesn’t exist at Lake Brantley High School in Altamonte Springs, Florida. Teacher Seth Reichelson, a White House Champion of Change, has toppled those preconceived notions and made his AP CS class appealing to all students. To make the subject relatable and interesting, he changes his in-class examples to be fun, for example by having students manipulate pixels in a picture instead of doing a bug simulation. Aaronson teaches her students to meet with professionals, both to develop the skill of networking and to form strong relationships with people in the industry. She coordinates mentor days and field trips for her students to connect with people at local colleges like USC and UCLA. 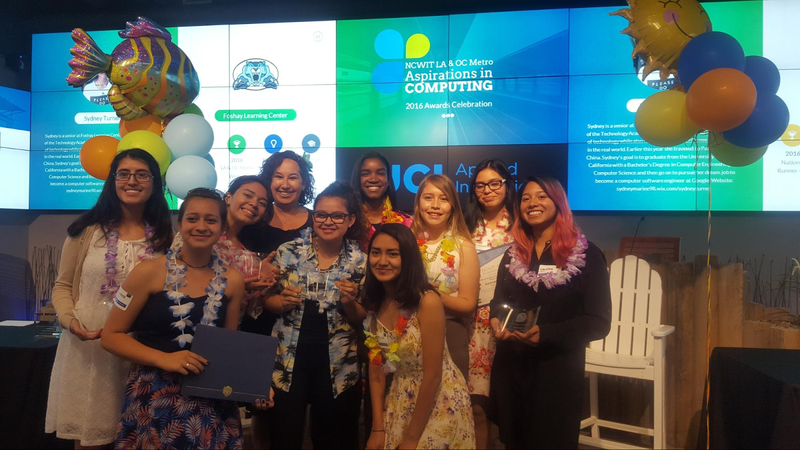 These are the stories of just a few of the inspirational CS teachers that are educating the data scientists and software developers of tomorrow. Reach out a hand and support teachers like Diane, Seth and Leslie by donating to a classroom in need at DonorsChoose.org, or partnering with a school to introduce a CS program. This is why we created Google Classroom—to help busy teachers like Matt spend less time on logistics and more time on teaching, tutoring and student council-ing. Since we launched Classroom two years ago, we’ve added more than 50 updates to make it easier to manage assignments, communicate with students and stay organized. Today, on National Teacher Appreciation Day, to show our thanks for the millions of hardworking teachers like Matthew, we’re making it even easier to stay organized and save time with Classroom. Starting today, teachers can plan ahead by scheduling announcements, assignments and questions to post at a later date or a specific time (great for the early birds who want to get a head start on school planning during the summer ;). Just look for the scheduling option when posting new assignments, questions and announcements. You can find scheduled and draft posts in the “Saved posts” section of your class stream, and you’ll get email and mobile notifications when your scheduled posts go live. We’re also adding new updates to Classroom over the next week—all designed to help teachers save time and stay organized. Look out for easier-to-read email notifications and updates to our iOS and Android apps. We know parents and guardians are instrumental to student success at school. And to the school leaders and teachers who’ve told us they need an easy way to keep guardians updated with what’s happening in Classroom—we hear you! Later this year, we’ll launch email notifications for guardians so they can stay involved and help to motivate their students. Guardians will be able to sign-up to receive daily or weekly email digests of their student’s progress, upcoming work and class announcements. Administrators will be able to invite guardians directly and set domain-wide policies for guardian linking and notifications. To teachers like Matthew who are fueling the future—we thank you. Here’s hoping you get all the appreciation you deserve this week . . . and for the rest of the school year. When learning a new skill, it’s helpful and comforting to have a coach by your side, every step of the way. Whether it’s a golf instructor giving tips on your swing, or a parent sitting (calmly!) in the passenger seat while you learn to drive. The same is true when learning a new technology. That’s why we — and thousands of Google Apps customers — have been so excited about Synergyse. Google Apps was built to provide powerful cloud-based productivity and communications, in an easy-to-use set of applications. And today our Apps product suite, which includes Gmail, Calendar, Drive, Docs and more, is now used by more than 2 million paying businesses around the world. As more businesses sign up, we wanted an elegant way to scale our training offerings to our customers and our customers’ users. Synergyse built a virtual coach inside of the Google Apps interface, built on Google Cloud Platform. With voice and text interactive modules that are searchable by topic within our apps, Synergyse will help your users get up to speed quickly — including when new features are rolled out. The trainings are always up to date, thanks to the power of the cloud. Organizations that use Synergyse see on average 35 percent higher adoption across Apps products, meaning those organizations are more likely to be productive, collaborative and embrace digital transformation. Given the enthusiasm that exists for Synergyse already, we want to extend this service to all of our customers. That is why we’re happy to announce Synergyse will be joining Google, and we intend to make the product available as an integral part of the Google Apps offering later this year. In the meantime, existing customers will continue to have access, and new customers will be able to download the Chrome extension for free while the integration is underway. Please join us in welcoming the Synergyse team to Google Apps! I’m in awe of Mrs. Zazulak, my daughter’s 5th grade teacher. She is constantly finding new ways to engage students with her inquiry based learning approach. She inspires her student’s creative writing with “Who would win Wednesdays?” and asks them to write any story about what would happen if King Kong faced off against Godzilla. This week is Teacher Appreciation Week in the United States, so we’d like to honor teachers like Mrs. Zazulak and the millions of others who put their talents and passion into educating our children. Below are a few more examples of teachers using creative methods to engage students and teach valuable skills for the future. Teachers are dedicated to building the next generation of leaders. 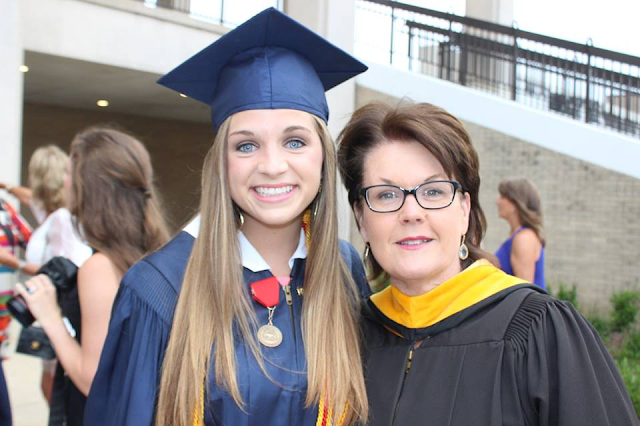 Teachers like Lou Ann McKibben at Jackson Preparatory School in Jackson, Mississippi are fostering leadership skills and giving students opportunities to experiment with the kinds of projects and tools they’ll encounter in the workplace. For example, Ms. McKibben, an economics teacher, hosts an annual “Shark Tank” day where students pitch their ideas to local business leaders. She’s giving the students a fun way to guide their own learning, while preparing them to share ideas and drive projects in the workplace. In addition to developing crucial skills for the future, teachers are empowering students to dream big. 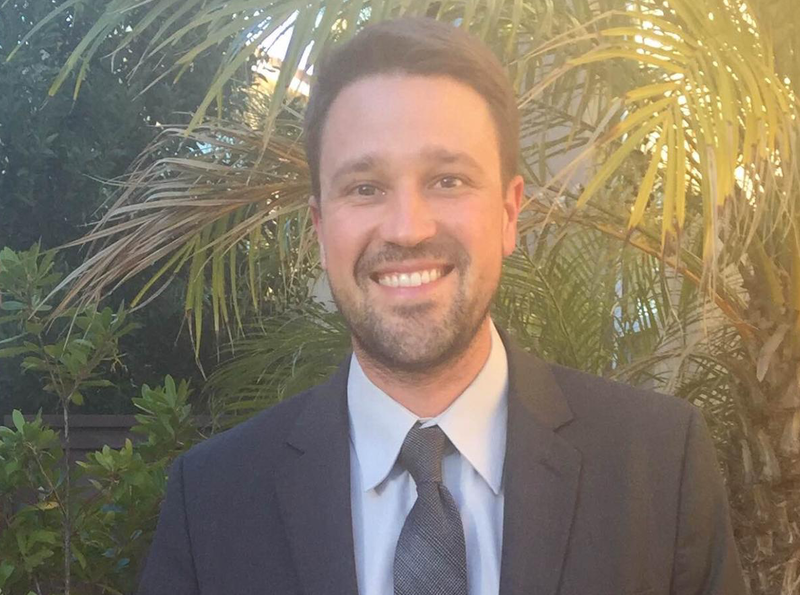 Matt Martin, a chemistry teacher at High Tech High in San Diego, California, gave his students a crash course in entrepreneurship that led them to create the Wicked Soap Company, a student-run ecommerce business. Students are involved in every aspect of the company, from creating the soap to reporting on the business to their classmates. From day one, Mr. Martin has encouraged his students to experiment — the idea for Wicked Soap came from one student’s science project — and to follow their instincts. Mr. Martin’s class uses the revenue from the business to fund field trips, reinvest and organize a scholarship for fellow students. By rallying the class around a complex project, Mr. Martin created an experience that inspired students to try new things, work together and believe in their ability to run a business. Teachers are also redefining traditional notions of the classroom and challenging students to do the same. Stacy Dang, who teaches at Cornwall Terrace Elementary in Pennsylvania, created a virtual classroom that supports inquiry-based learning, a method for prompting students to solve problems themselves. In one instance, Ms. Dang created a shared classroom with second graders from Pennsylvania and seventh graders in neighboring New Jersey. Second graders submitted science questions using online forms for the seventh graders to research and answer with presentations. She also encourages students to teach one another in the virtual classroom through “live lessons.” Teachers like Ms. Dang are encouraging young people to learn from themselves and from one another — skills that will help them to think critically, embrace curiosity and see the world in new ways. To the millions of teachers, including Mrs. Zazulak, Ms. McKibben, Mr. Martin and Ms. Dang, who create dynamic learning experiences that prepare and inspire our children to lead: thank you for the work you do every day. We’ll be posting more on Google for Education Twitter channel and here on this blog throughout the week. It’s a great time to thank teachers for the difference they make — share what you’re thankful for by joining the conversation: #ThankATeacher.